Sew what's cooking with Joan! 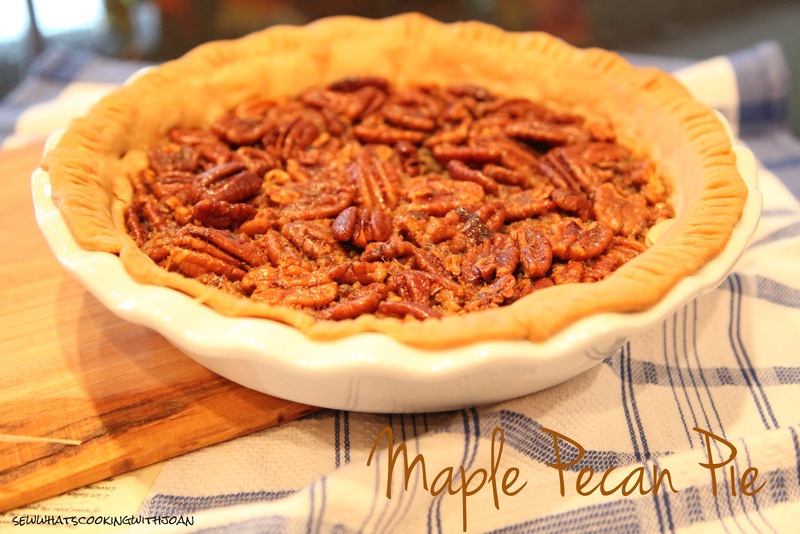 : Maple Pecan Pie plus a Holiday Cookie Decorating Class! Maple Pecan Pie plus a Holiday Cookie Decorating Class! Well, the holidays are upon us and now that Halloween is over it is now all about turkey and all the fixings -that includes pies! Probably one of my favorite part of the Thanksgiving line-up of food is dessert. TT and I are hosting the dinner this year and are busily getting the house in order and making sure we have all the ingredients to pull it all together. Last night we completed our grocery shopping list and now we just wait for the butcher to call us about picking up the 20lb bird we ordered! It's going to be a feast! The tables have been set and I am doing what I can to prep whatever possible to make things easier come Thursday. Who wants to be stuck in the kitchen right up until the turkey is about to be carved!?. I've come to realize that making things or prepping ingredients in advance surely makes your holiday run a whole lot smoother. I am less stressed and can enjoy the company of family and friends. So, with that said, I have made one of three pies I am serving on Thanksgiving. You can make this pie (along with pumpkin pie) a week in advance and once baked, wrap in plastic wrap and place in the freezer. The day of, take it out and let it come to room temperature. 2. Line a 9-inch pie pan with the pie crust. Place it on a sheet pan. 3. In a large bowl, whisk together the corn syrup, honey, maple syrup, butter, eggs, bourbon, vanilla, orange zest and salt. 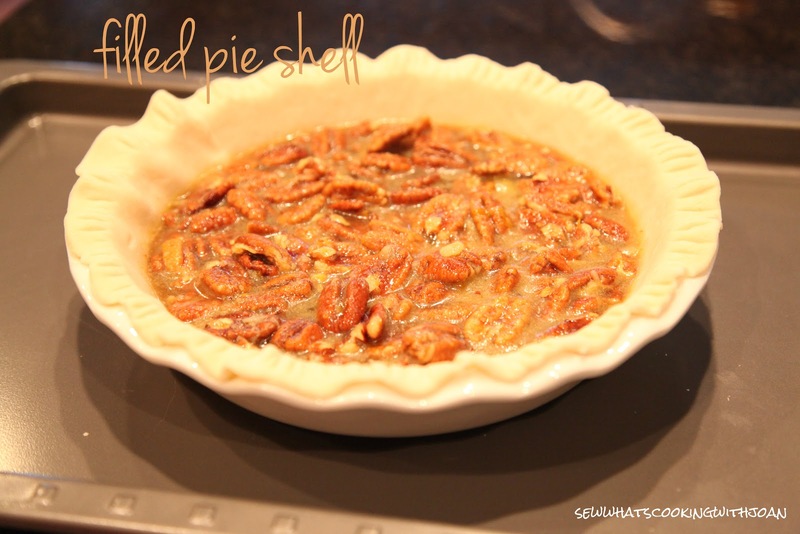 Stir in the pecans and pour into the unbaked pie shell. Bake for 50 to 55 minutes, until the center is just set. Set aside to cool. 1. Cut the butter in 1/2-inch dices and return it to the refrigerator while you prepare the flour mixture. Place the flour, sugar and salt in the bowl of a food processor fitted with a steel blade and pulse a few times to mix. Add the butter and shortening. Pulse 8 to 12 times, until the butter is the size of peas. With the machine running, pour the ice water down the feed tube and pulse the machine until the dough begins to form a ball. Dump out onto a floured board and roll into a ball. Wrap in plastic wrap and refrigerate for 30 minutes. 2. Cut the dough in half. 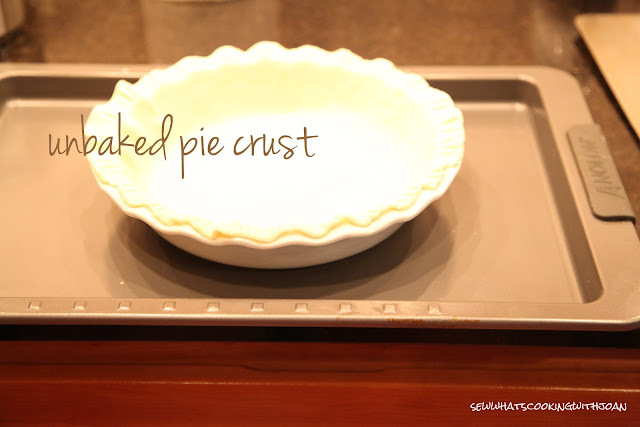 Roll each piece on a well-floured board into a circle at least 1-inch larger than the pie pan, rolling from the center to the edge, turning and flouring the dough so it doesnt stick to the board. You should see bits of butter in the dough. Fold the dough in half, ease it into the pie pan without stretching at all and unfold to fit the pan. With a small sharp paring knife, cut the dough 1-inch larger around than the pan. Fold the edge under and crimp the edges with either your fingers or the tines of a fork. Last weekend I went with a couple girlfriends from the neighborhood to a holiday cookie decorating class. 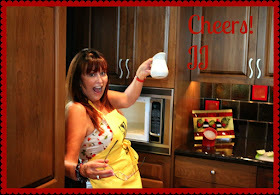 It was taught by Jenny Keller of Jenny Cookies (www.jennycookies.com). She has appeared on Tori & Dean: Home Sweet Hollywood and her work has been featured in BRIDES magazine, Seattle Bride along with a hundred other entertaining and lifestyle blogs. She demonstrated and shared how to make a fool proof sugar cookie along with a buttercream frosting recipe and tutorial. She provided us with everything needed (tips, cookie cutters, piping bags, etc). She is a wealth of knowledge and has a super sweet personality! It was a fun day and the three of us walked away with some pretty fun decorated cookies! Here are a few pictures we snapped. I'll do a tutorial on how to make these cookies in the coming weeks. You'll be surprised how stinkin easy they are! The buttercream recipe is great too. Much easier to work with than the royal icing and tastes better! Okay, Wee Bear and I could hardly wait to see the blog today, and at breakfast Wee Bear said, "when the blog going up?" I told him, Sweet One is on Pacific time and 1 hour behind us, so be patient!! I can hardly believe that this pie made it past TT to the freezer! 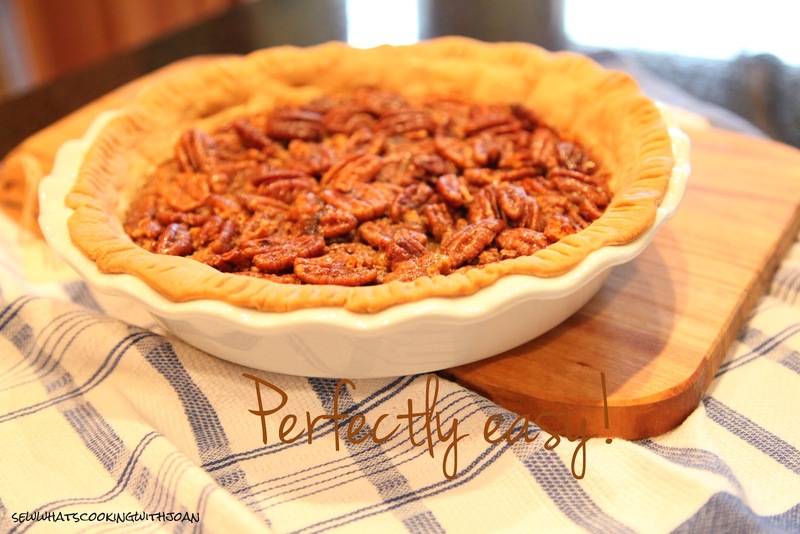 I know my son, and he and his other siblings absolutely love pecan pie!! It is beautiful and I can't wait to sink my teeth into it!! As for the cookies, well, I can't stop giggling over the turkey, he is so cute and funny!! You have certainly made some nice friends in your "hood", I enjoyed them all last Summer!! Amy/Joan~ I need Jenny's recipes and tutorial! Those cookies look great, and with many holiiday parties coming up they would be perfect to bring! Now if only I can make mine look as good as yours Amy!!!! Love all of your great posts Joan!!!!!! !